I am super fond of big squishy pillows and these Stacking Stars pillows are a couple of my new favorites! They’re super fun to make and they go together really fast. Always a plus in my book! 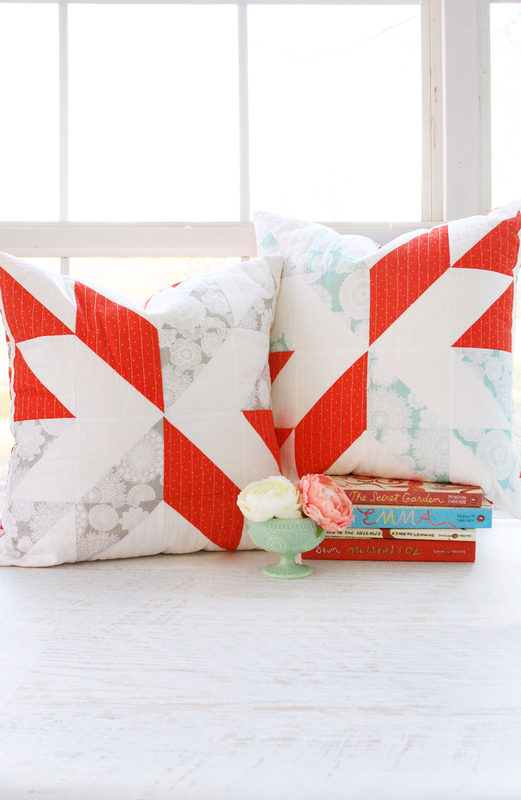 These are made with Vintage Keepsakes fabric! 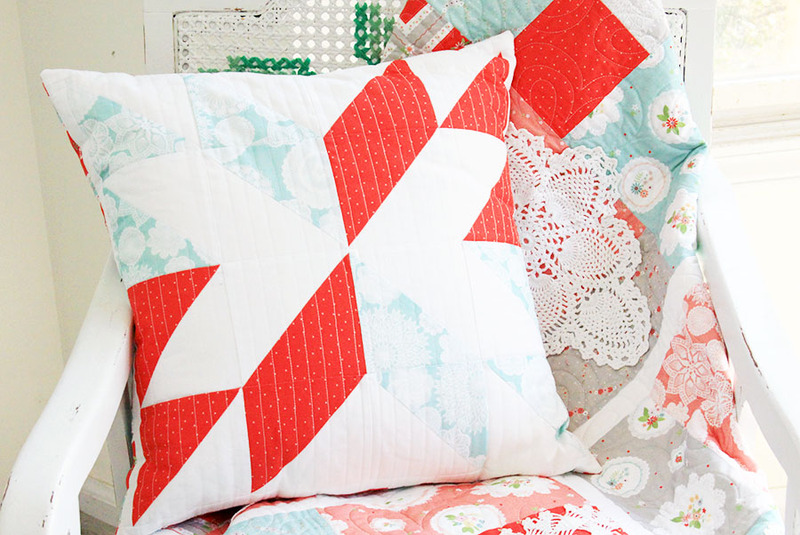 I used the red cross stitch print on both pillows and the gray and aqua doily prints – one on each. I love the contrast of the bold red with the softer doily fabrics. If you have the Stacking Stars pattern you are all set to go for making these! I think they’d be really fun along with the quilt – you could make a set for a sofa or as a gift. 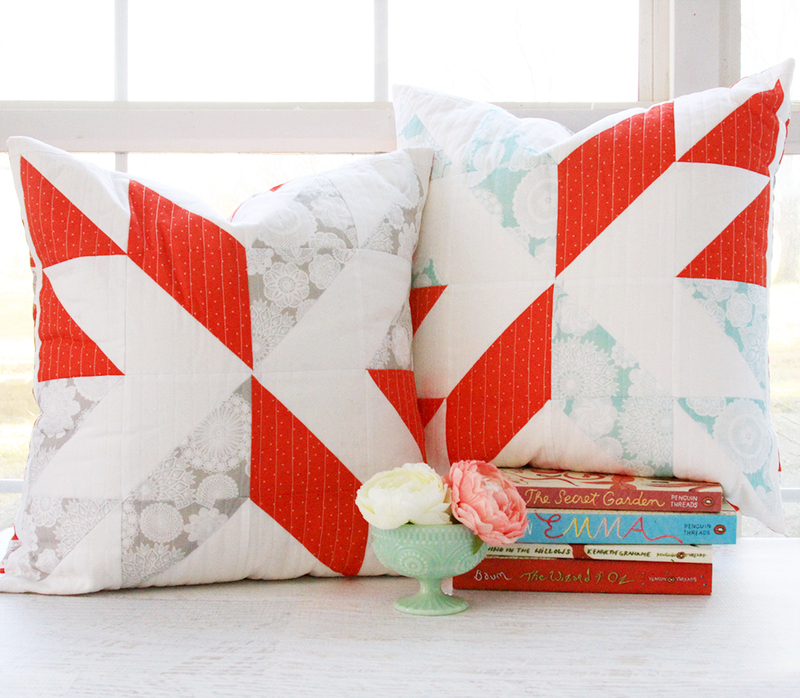 Each pillow front is one Stacking Stars block with a 1 1/4″ border around the block. Once the borders are sewn on, cut a piece of backing slightly larger than the block and quilt as desired. I just did some simple straight line quilting. 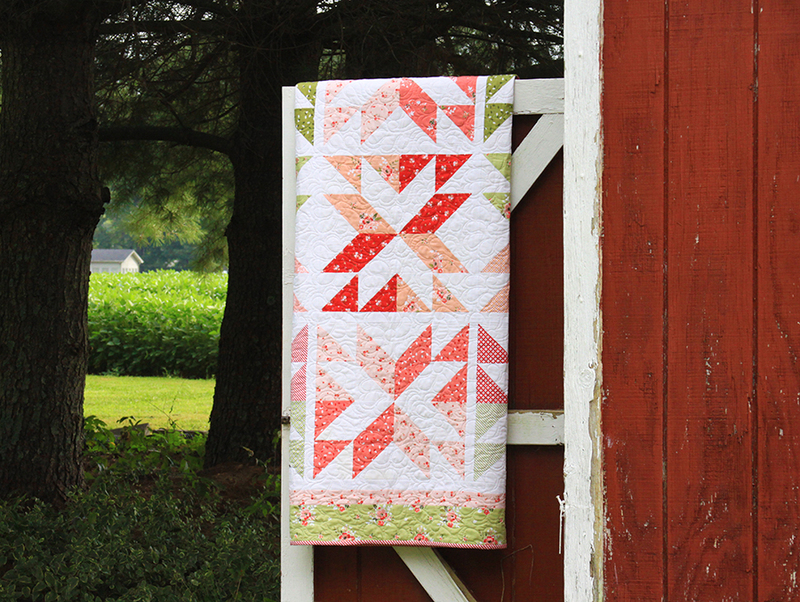 It would be really pretty to outline the star with hand quilting too – or even a free motion design! I made an envelope backing for these – I used the handkerchief print in Vintage Keepsakes! It makes such a fun design! Once the front and back are sewn together, the pillow cover is 17″ x 17″. They work perfectly in an 18″ x 18″ pillow form. I found this set of two 18″ down alternative pillows on Amazon (affiliate link)- they are super squishy and soft but they look nice and fluffy. That’s all there is to making these! I can definitely see more in my future! 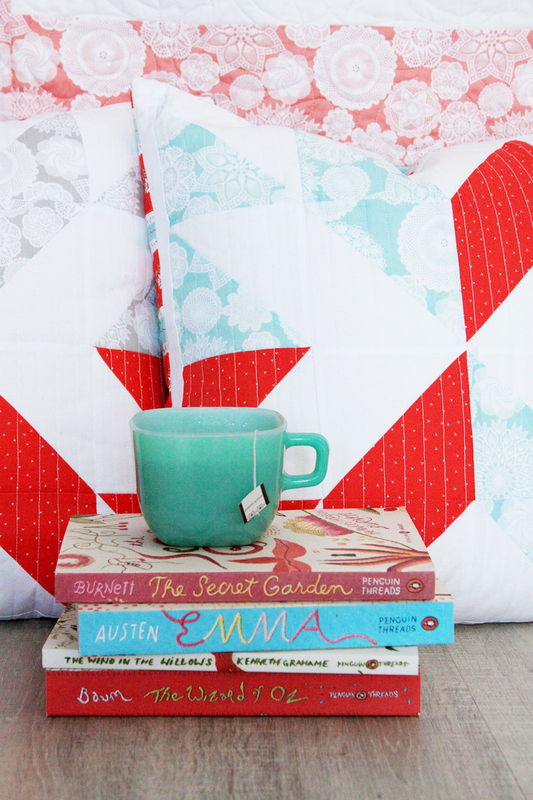 Do you ever make pillows from quilt patterns? This is my first time – I can’t wait to do it with more designs!